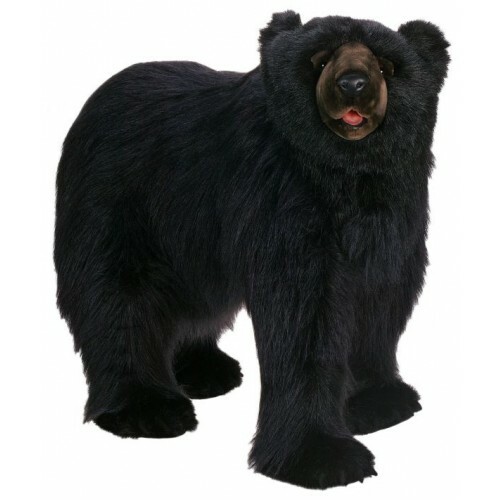 This exclusive lifelike American black bear (Ursus Americanus) is carefully handmade with the finest materials to replicate every detail as best possible. The high quality materials and detailed cuts and stitches create a distinct and unique plush animal that is perfect for display or play. From the narrowed muzzle to the small and rounded ears, the details will let you enjoy the black bear without worry about the danger. Along with the plush comes a tag with many educational facts about this North American bear.